About - Superior West Electric - Your Vancouver Electrician ! Our Goal is to provide our customers with exceptional service, customer satisfaction and quality work! Superior West Electric Ltd was established June 2007. Founded by Patrick Young, Superior West Electric was first known as “Superior West Communication Ltd” and focused on automated call for help systems as well as light electrical work. With the demand for electrical service surpassing the technical areas of the business the focus of the company shifted to electrician service and installation. The company started in a new direction making electrical work the priority for anyone needing an electrician for residential, commercial and industrial service and contracting. As the volume of work increased, the number of people working within the company increased to a staff of 4. With strong core values instilled within all of our staff we realize the value in all of our customers and focus on providing quality workmanship and exceptional customer service. 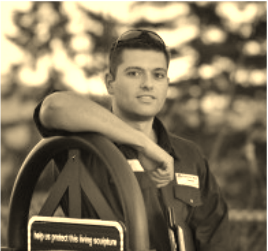 Our electricians serve the Lower Mainland including Vancouver, Downtown Vancouver, North Vancouver, West Vancouver, New Westminster, Burnaby, Coquitlam, Port Coquitlam, Surrey and more!